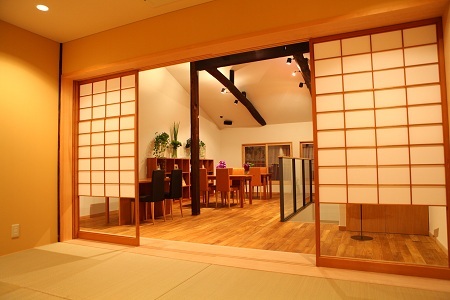 On 7th of November, 2011, LST MACHIYA opened. 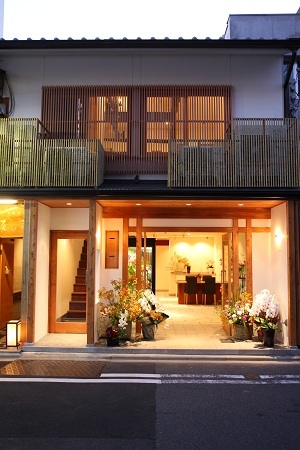 It is located at Teramachi-Shijo-Kudaru street which is very near from LST Kyoto salon, and LST Machiya is a studio redecorated from Kyoto style townhouse. It is a flower shop where you could buy flowers for present and the wedding reception flowers. 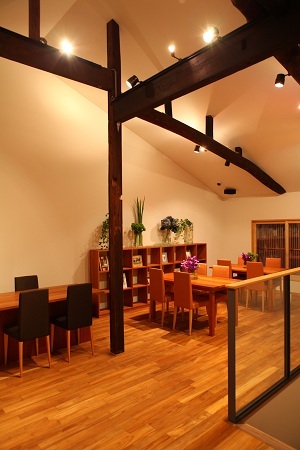 It is a photography space and also you could use the room as a brides’s room for the couple’s special day. In this morning, all staff have celebrated the Opening day. We have received many flowers and celebration from many people we have been receiving favors. Also, even it was the first day, ierre was been visited by many neighbors and people walking by, and they had bought bouquet and flowers for their houses, we felt afresh that it is a great pleasure to being visited by customers. ierre in the ground floor is being opened by Ms Nakagawa who was a staff of VICE VERSA FLOWERS which is the flower shop we have beeing worked from the foundation. Also, the open of ierre was been turned into reality in this short period through the kindness of Ms Hata. We all appreciate from bottom of our heart. LST MACHIYA (ierre & LST Gallery)’s information would be introduced formally in this weekend on the LST INFORMATION.